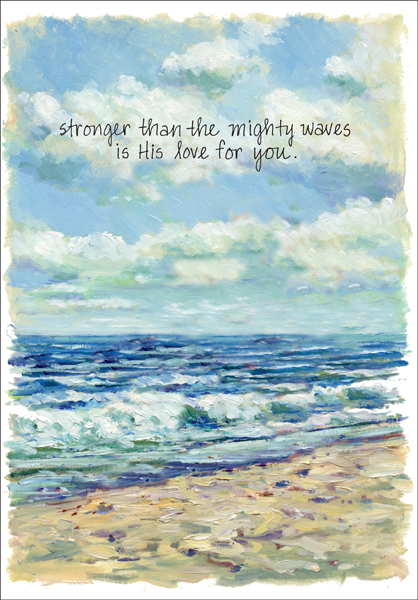 God's love is stronger than the mighty waves. Beautiful artistry and an uplifting verse from Psalm 93 make this card appropriate for anyone going through a difficult time. Greeting cards from it takes two are proudly made in the USA and ready to ship today. 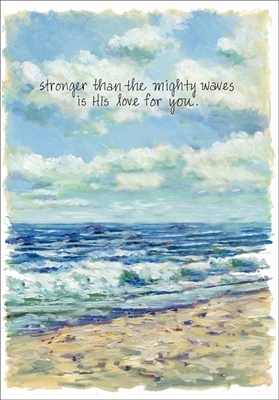 Front: stronger than the mighty waves is His love for you. 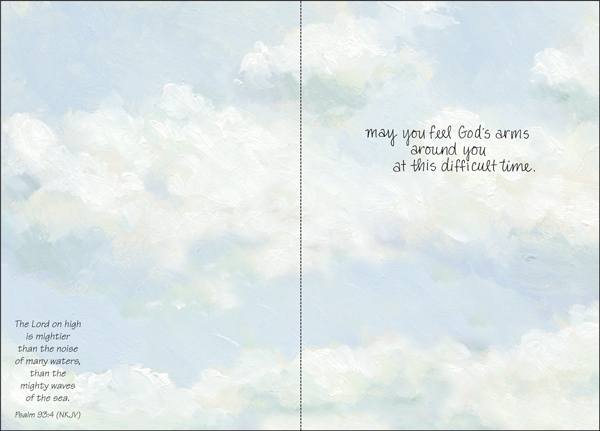 Inside: may you feel God's arms around you at this difficult time.